Read about - Lucinda Harbour below. Lucinda Harbour has a major sugar loading facility with the longest Jetty in the Southern Hemisphere – over 5 kilometres long. This stretches into the distance in order to load the large ships in deeper water. 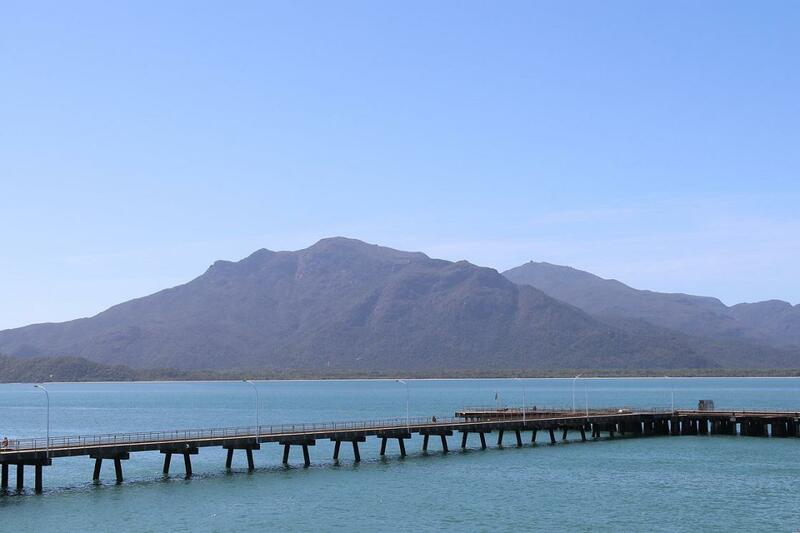 Lucinda is at the southern end of the Hinchinbrook channel and is a very popular fishing location. When visiting Lucinda I suggest you try fish and chips from the Lucinda store - you can sit in the shade admiring the jetty while enjoying delicious food. have you been to Lucinda Harbour? Explore Lucinda Harbour with RvTrips and find out where to stay, what to do and what to see. Helping caravan, motorhome and camper owners have a great holiday.